Another fun card starring the pups from BB You Make My Tail Wag by My Favorite Things! For those of you who think dogs aren't clever enough to try this when food is involved, sorry, you are wrong! This really made me smile today Tammy! I love your design using those cute dogs and your colouring is wonderful. Love your fabulous, fun card. So made me smile this one Tammy, such fun and a great design! So cute and I love the "fence" they're peeking over. You're really making me want this stamp set! Cute, cute card. 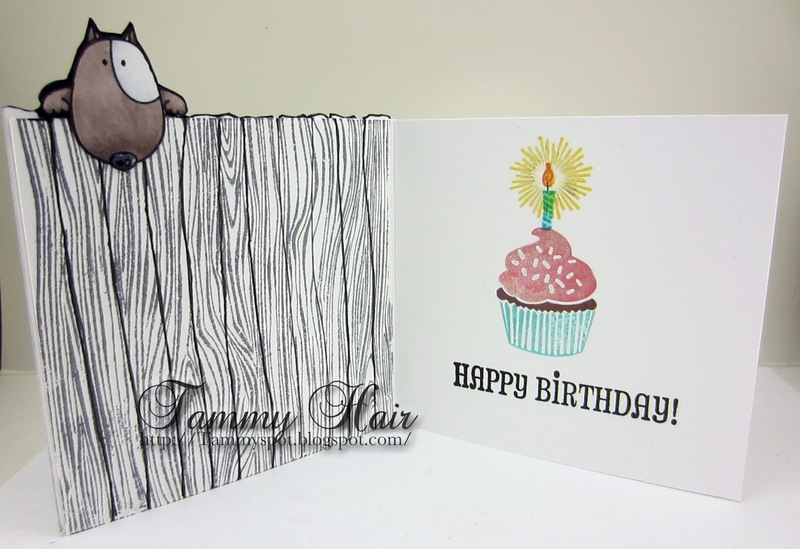 Oh what a fun card Tammy,love it!! Oh Tammy, this made me titter with Glee! I have a cat who'd get up to this type of shenanigans! Oh! 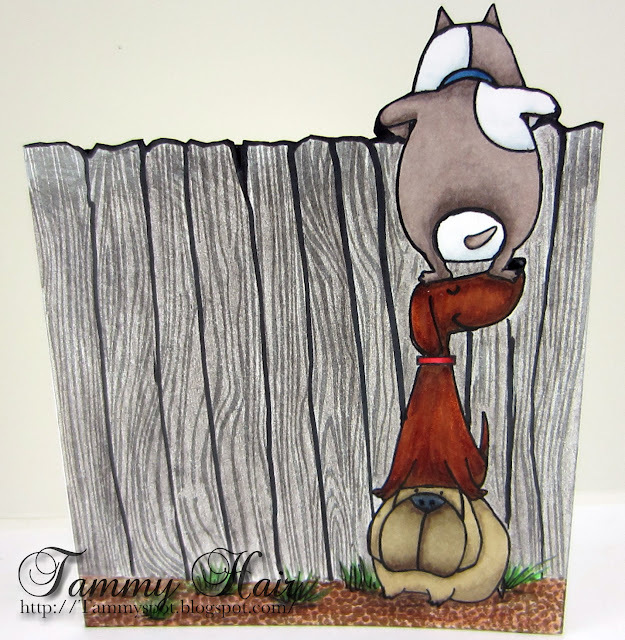 this is classic Tammy..what a fun card and love the pooches and love the inside too..awesome. Again, you've got me laughing and I love it! This is just too darn cute. Oh, I can see it, for sure! I;m giggling too which is a wonderful thing Tammy. Your cards are so clever. Adorable card! I haven't seen this set before and I love it.